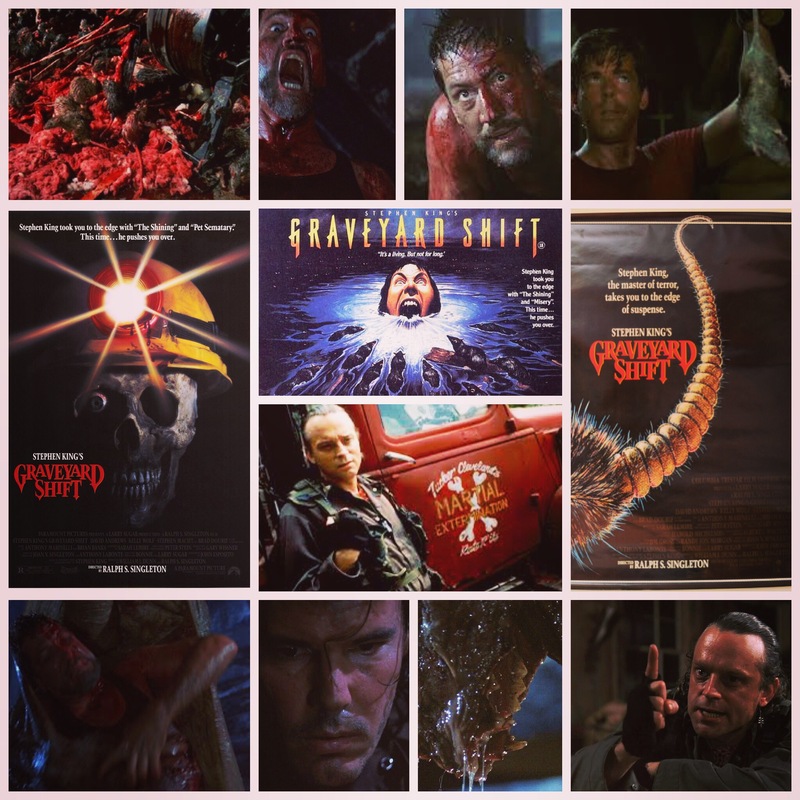 Stephen King’s Graveyard Shift is curiously one of my favourite adaptations of his work. I say curiously because it’s not a very tasteful film, let alone even a good one. It’s simple schlock and awe, goo and slime for 90 minutes straight, every human character either an unsettling nutcase or cardboard stock archetype. There’s just something so Midnite Movie-esque about it though, a sense of fun to its gigantic, hollowed out mess of a textile mill in which some kind of vile denizen stalks a night crew that pretty much deserves everything they get. People wander about, squabble and are picked off in ways that get steadily more gruesome until the final reveal of the monster in some overblown puss-palooza of a finale. What more do you need in your bottom feeder helping of horror? Steven Macht is the sleazebag who runs the mill at his tyrannical whim, while David Andrews is the closest thing you’ll find to a stoic protagonist. Andrew ‘Wishmaster’ Divoff shows up as a stock character, but it’s Brad Dourif who chews scenery and ends up the only memorable person as the world’s most simultaneously intense and incompetent exterminator, a bug eyed little weirdo who freaks people out with extended monologues about Viet Nam when he should be perusing corridors to find whatever’s lurking there. The monster itself, if I remember correctly, is one big pile of grossly misshappen, poopy prosthetic puppetry, as is often the case in early 90’s King fare. Would you want it any other way? Simple, efficient and impressively gory is what you’ll find on this shift.